There was a lot of important information on the U.S. economy released this week but the biggest data point is without a doubt the latest monthly job report from the Bureau of Labor Statistics (BLS) out this morning. 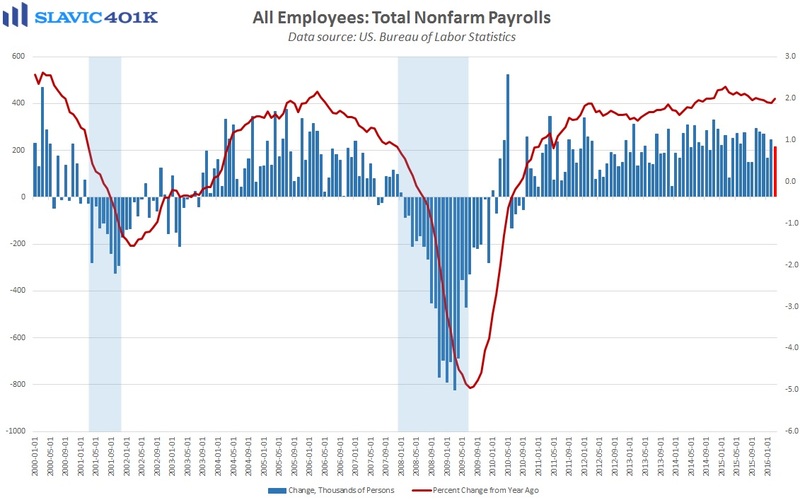 Indeed, total nonfarm employment in America rose by 215K payrolls in March, better than the 210K consensus estimate and also the 66th consecutive month of net job creation, the longest such streak in U.S. history. 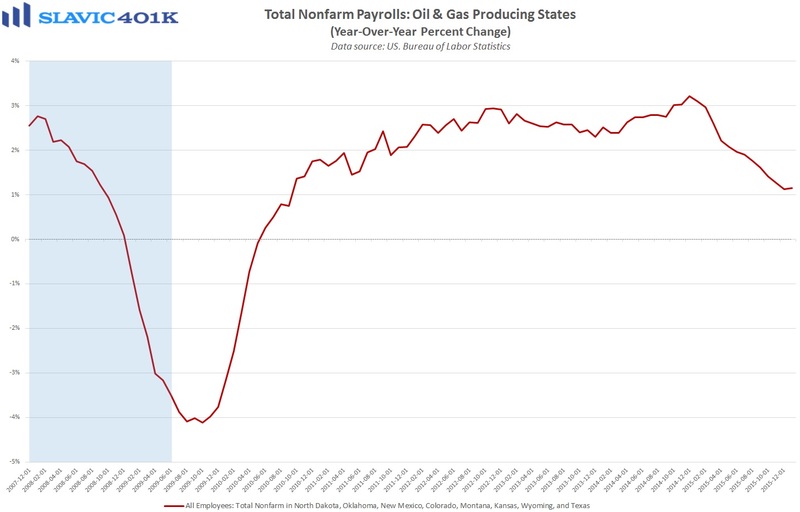 There were small revisions to the January and February figures, which altogether resulted in the less-volatile 3-month average payrolls gain ending March at 209K, more than enough to exceed population growth and continue to slowly chip away at the jobless rate. 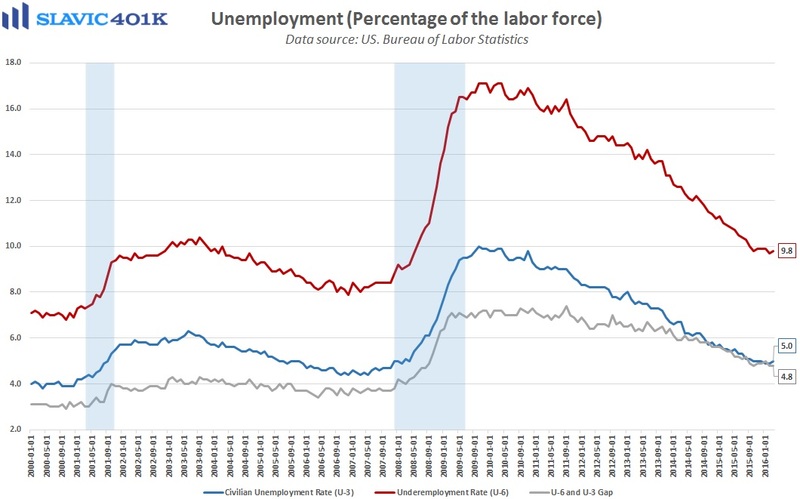 Speaking of joblessness, the official unemployment rate (U-3) edged higher in March to 5.0 percent, and the underemployment rate (U-6) lifted to 9.8 percent. 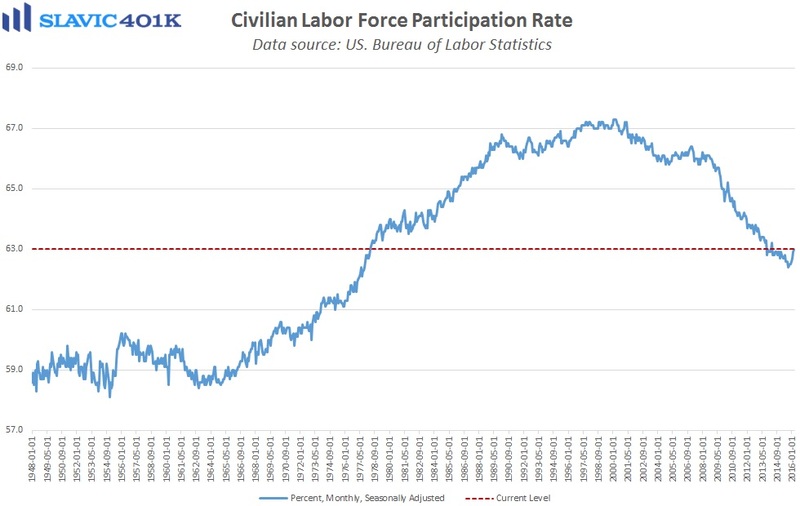 These small increases were likely due to the civilian labor force participation rate rising to 63.0 percent in March, the fourth month-over-month increase in a row and a sign that more Americans are reentering the workforce due to increased confidence in the labor market. Manufacturing employment remained abysmal in March, with the net loss of 29K payrolls being the largest monthly decline for this arena since 2009. Construction employment, though, jumped in March and the 6-month average growth rate for payrolls in this sector is now at a decade high. Interestingly, the apparent rising demand for construction workers could actually wind up cannibalizing manufacturing employment, and therefore eventually result in a labor shortage in manufacturing instead. Another highlight from the job report is that the employment rates for the 25-34 and 35-44 age groups hit new cycle highs in March. At the same time, age 55+ employment was flat month-over-month and teen employment was down. 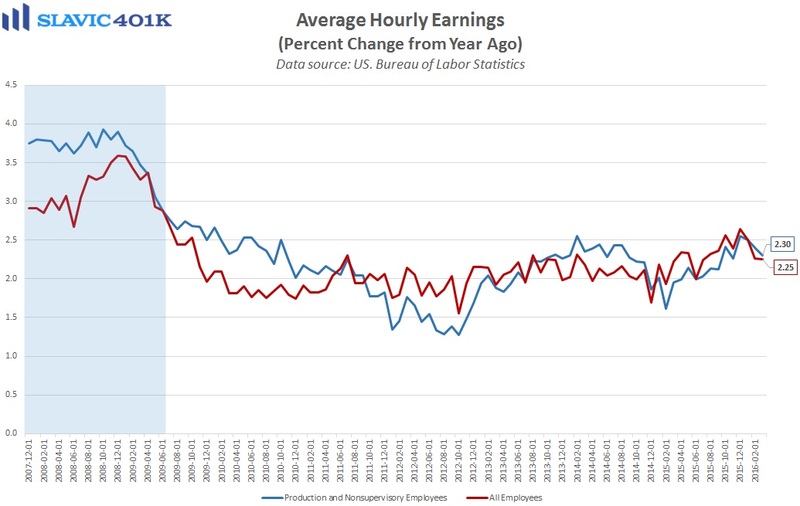 Altogether this means that most of the employment growth is occurring in the “prime-age” group and therefore suggests that wage growth is probably accelerating. Moreover, average hourly earnings lifted by 0.3 percent in March, better than expected, and this measure of wage growth is now up 2.3 percent year-over-year. 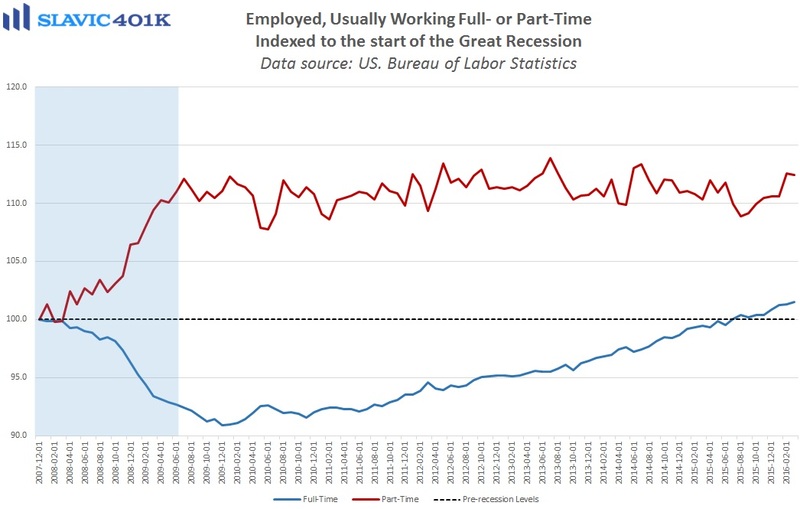 Overall, this was another solid monthly report on the employment situation in America which suggests that labor market slack continues to decline. The March job report, though, was generally in line with forecasts and therefore should not have a significant effect on the Federal Reserve’s immediate timetable for interest rate hikes.